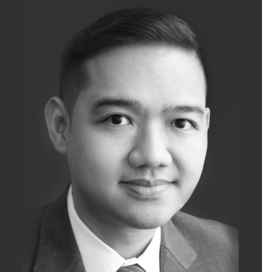 Chanchai Tanatkatrakul is Principal at Roland Berger’s Thailand office. He has almost fifteen years of consulting and industry experience, working in several countries across Southeast Asia, North America and Australia. Mr. Chanchai consults for a variety of industries at Roland Berger, which include (but are not limited to) consumer goods, economic development, infrastructure, public sector, telecoms and transportation. He has advised on the master plan development for Dawei Special Economic Zone in Myanmar, one of the largest industrial and infrastructure developments in Asia. Prior to Roland Berger, he worked at an engineering consulting firm, consulting on large-scale transportation, public-private-partnership and infrastructure projects. In his career, he had stints at major financial services firms and worked at the public debt management office in Thailand. 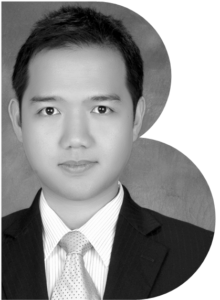 Mr. Chanchai was a MBA scholar in Finance and Marketing from Northwestern University, Kellogg School of Management, USA. He also has a Master of Science in Civil Engineering from The University of Texas at Austin, USA, and a Bachelor of Science in Civil Engineering degree from Chulalongkorn University, Thailand. Which are the characteristics of “Smart Tourism Destinations”? Smart tourism destination is essentially a concept of tourism destination with 3 key elements which are enhanced experience, seamless transport, and payment convenience. Thailand is piloting this concept in key cities such as Phuket – where it is looking to develop a one-stop travel app for tourist to explore around the island or in Khon Kaen – where it humbly started by simply clearly indicating the route of public bus around key attractions which has improved tourist transportation convenience. We can see how digital technology can be integrated into multiple touch-points along tourists’ journey to add value to their overall travelling experience. What “Thailand 4.0” means in simple words and what could be the impact for the Thai tourism industry? Thailand 4.0 is the new economic model focusing on value-based economy to promote sustainable growth and development. High-income tourism and medical tourism are among the government’s targeted industries. Innovation and digital technology such as online platform will be leveraged to create more value for tourists and promote access to local products and services in order to support the local wealth creation. How can “Digi.travel Conference & Expo” support travel & hospitality industry to move towards the digital tourism economy?